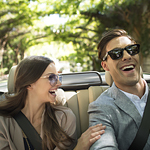 You want to be able to enjoy trips in your vehicle instead of feeling sick for the entire trip. Unfortunately, there are times when motion sickness can take over. If possible, try to travel at a time when you can sleep for the duration of the trip so that you won't pay attention to your surroundings while in Union City. The Mitsubishi Eclipse Cross is designed to be both tough and efficient. That's why it's become such a popular compact SUV. It can handle tight parking spaces and difficult terrain with equal ease. The Eclipse Cross's 1.5L engine churns out 152 hp and 184 lb-ft of torque. The 8-speed, fully automatic transmission is continuously responsive, adapting to road conditions as you drive. The transmission also features a sport mode. What Would Happen in a Car Crash? Although you can never answer that question completely, two major safety organizations have tried to come up with likely collision tests so that consumers can be as informed as possible on how their cars would perform in such a situation. Available in four models, the 2018 Mitsubishi Eclipse Cross is equipped with cutting-edge digital technology. Customers in Union City can visit DON JACKSON MITSUBISHI to explore the signature audio system in this mid-size crossover SUV. 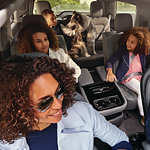 When you stop by DON JACKSON MITSUBISHI, take a close look at the new Mitsubishi Outlander PHEV. This compact SUV is actually a plug-in hybrid, packed with a number of technology features you should experience. One way the new Mitsubishi Outlander PHEV is improving safety on the road is by having the Blind Spot Information system monitor what is taking place behind your vehicle at high speeds. If a vehicle is too close in your blind spot, you'll get an alert to avoid changing lanes until the area is clear and you can then proceed safely. 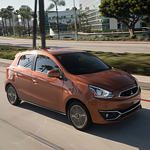 As you search for a subcompact car, you try to find a small vehicle that is packed with great features. As you look into the Mitsubishi Mirage, you can know that this popular car is one that is set up with all kinds of technology features. 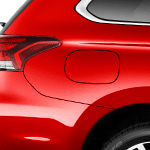 Are you looking for a reliable Sport Utility Vehicle that your college student will love? Look no further than the new Mitsubishi Eclipse Cross. With a streamlined body that makes it easy to maneuver and park, spacious interior, and plenty of cargo space, the Eclipse Cross is an ideal car for trips between college and Union City. 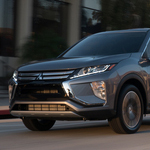 Heading the list of popular compact SUVs is the Mitsubishi Eclipse Cross, an appealing mix of tough design, comfort in the cabin and a variety of integrated safety features. Whether you plan on a weekend of fun or rely on the Eclipse for your daily commute, it's a car that can handle whatever comes its way. 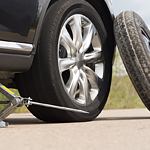 A flat tire is one of the most annoying things to happen while driving. It slows you down and can ruin your day. 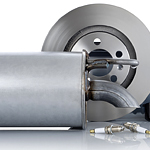 There are worse things that can happen, but a flat tire is easier to replace than other car parts that break down.